As is now customary when we organise a new competition we like to introduce our partner. This month we are delighted to pair up with the rather splendid team at ATEN to offer up the chance to win one of five Ritek Ridata R6 Bluetooth Smart Watches. Our great friends at ATEN design and manufacture a full range of sophisticated KVM switch products and solutions. ATEN, established in 1979, is specialised in connectivity and management solutions in accessing and sharing technologies. “Simply Better Connections” has always been at the heart of the ATEN brand. It means providing innovative solutions for you to make better connections, efficiently and seamlessly, to the information and people that you value. As a result, ATEN connects you to the world, anytime and anywhere, by providing technologies that enable you to share and to care. ATEN makes professional and personal life easier, simpler and better connected. With a huge product range at our disposal we found it hard to choose just one product to feature, but decided to look at the ATEN Portable Laptop USB Console Crash Cart Adapter. Professional IT experts can now make the smart choice by choosing an ‘All-in-one Crash Cart Adapter’. 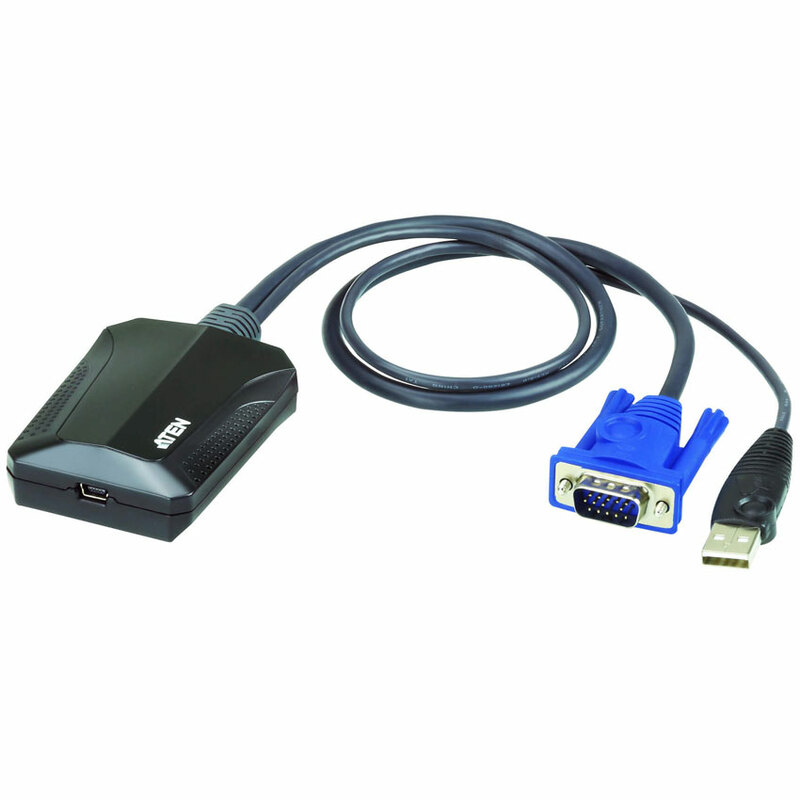 ATEN’s CV211 is a laptop USB KVM console adapter designed specifically for frustrated mobile IT managers. It is the perfect crash cart replacement that turns your laptop into a KVM console combining the functionality of a wormhole switch, capture box, external DVD-ROM, keyboard, mouse and monitor all in one compact and convenient unit. You are free to quickly and professionally diagnose and troubleshoot servers, ATMs or PoS systems with ease. Oh, yes the competition ! How do you enter we hear you ask. Easy! You can either simply LIKE us on Facebook and post the hashtag #ATEN or FOLLOW us on Twitter and RT the hashtag #ATEN, or of course you can enter via both social feeds. Remember thou can share and enter as many timers as you wish to incerase your chances. Good luck! We have more good news! Fancy winning a £10 Amazon voucher? For any customers who have purchased the CV211 you are eligible to complete the short survey and you’ll be entered into a draw to win a £10 Amazon Voucher!